Entrepreneurs are a critical element to sustained growth in our global economy. With the MA in Global Entrepreneurship from IBAT College Dublin, candidates can develop the skills to create and manage a start up, or even work on their own startup, while earning a powerful Master's degree. The MA in Global Entrepreneurship at IBAT College Dublin is designed to prepare candidates for the competitive environment of real, global business. Candidates are selected based on their merits and entrepreneurial potential and are expected to engage, connect and collaborate with classmates, faculty and industry partners to learn the skills of starting and maintaining a globally competitive start up. 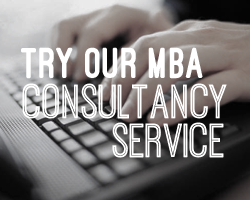 The curriculum of the MA in Global Entrepreneurship is designed to enable candidates to effectively, appropriately and selectively apply a vast range of knowledge and techniques to real business scenarios. As such, a variety of teaching methods are incorporated to simulate a live business environment. Candidates will study and build skills via face-to-face sessions, collaborative technology, online learning platforms, forums and web conferencing. Mature applicants who do not meet the formal requirements, but have accrued significant professional experience will also be considered. Graduates of this programme will receive a Master of Arts in Global Entrepreneurship issued from IBAT College Dublin and accredited by Coventry University and the Institute of Applied Entrepreneurship. *Tax relief is available for Irish tax payers. Learn the benefits of studying at IBat College, from career support to a industry-relevant curriculum. Fill out your details to find out more about IBAT Weekend MA in Global Entrepreneurship.